The training logbook has been developed to meet the requirements 6.6, 6.8, 6.9, 6.10 of the National Standards for Licensing Persons Performing High Risk Work. When working in such high risk environments, having a certain level of training is important to maintain safety and minimise injuries. 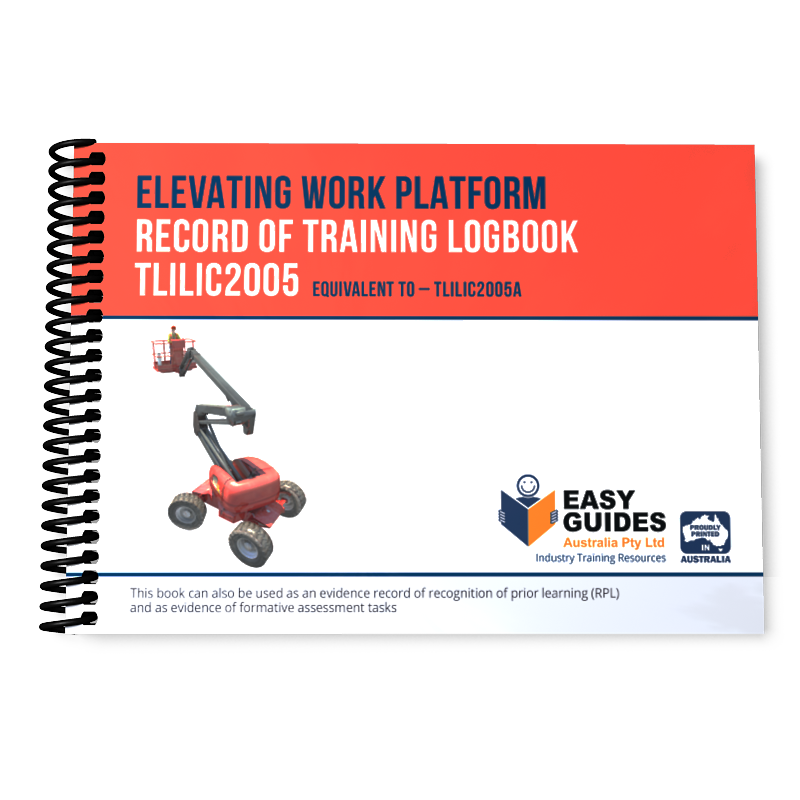 Our EWP training resources include a logbook that provides a method of recording the experience a trainee gains while undertaking normal work duties or training. This is designed to help the learner effectively keep track of what they have covered to prevent any repetition and ensure they finish their training as quickly as possible. 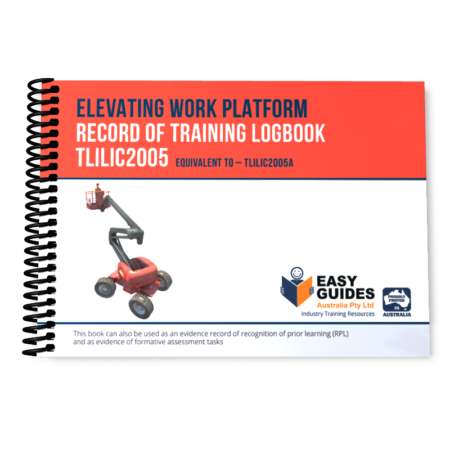 A brief description of the learning plan and recording of trainee, RTO and employer information are single page once only entries, saving time on repetitious recording of details. This will speed up the overall process and make an efficient use of your time. The logbook provides details of the elements in the unit of competency and the performance criteria. It also provides supervisor details and signatures for endorsement of date, time, hours of engagement in the task and the equipment used. All of this is designed to make the learning process as convenient and straight forward as possible. 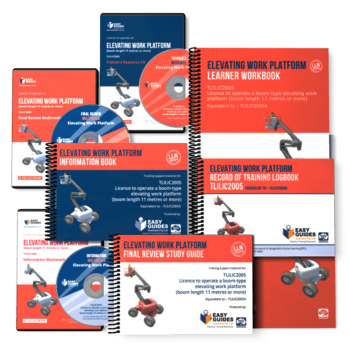 We offer a wide range of learning resources to help assist those looking to become qualified to use a variety of heavy machinery and equipment. 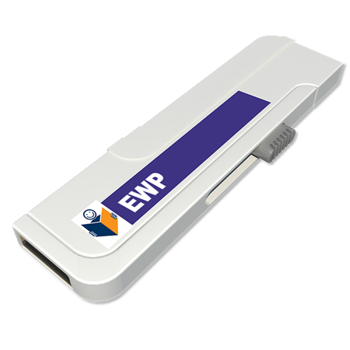 To find out more about our EWP training resources or any of our other products, call us today on 1300 733 220. Our friendly team is always happy to assist and will gladly over a free quote on our range if requested. Categories: Work Platforms, High Risk Licence Logbooks.